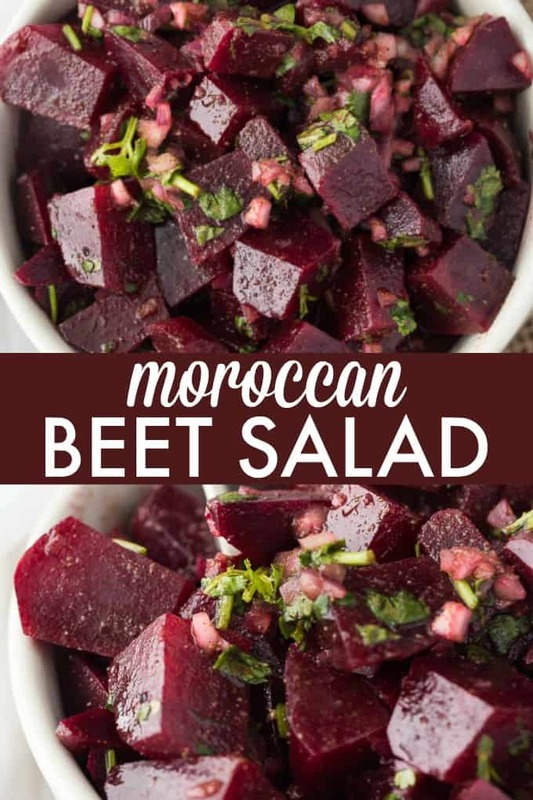 This recipe for Moroccan Beet Salad was submitted by Serena of Surviving Madness in the Appetizers/Side Dish Category in the zuuzs Grand Spring Recipe Challenge! You might also like this Beet Salad. Loaded with nutrients and full of flavor! 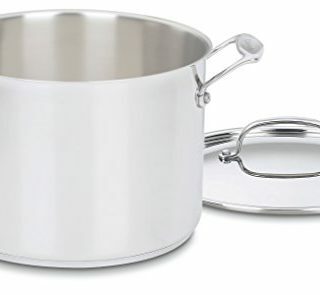 Fill a large stock pot (or pressure cooker) with water, enough to cover the beets by at least 2 inches. Bring to a boil and reduce heat to medium-high (water should continue to boil). Allow the beets to cook for approximately 50-60 minutes (or 30 minutes in a pressure cooker). The beets are ready when the skin easily comes off and you can pierce the flesh with a knife or fork with no resistance. Drain the beets. Fill the sink or a large bowl with water and lots of ice; soak the beets for 30 minutes. While the beets are cooling down, heat a small frying/sauté pan over medium heat. Add cumin seeds to the pan and “roast” them for 2-3 minutes, stirring constantly. Grind the roasted cumin seeds in an electric coffee/spice mill or by hand using a mortar and pestle. In a small bowl, combine the red onion, parsley, cilantro, roasted ground cumin, salt, pepper, olive oil and fresh lemon juice; mix well and set aside. When the beets have cooled down, remove the skins (should slide right off), trim the tops/ends and cut into 1/2 inch (bite-sized) cubes. Combine the beets and the onion/herb mixture in a large bowl and gently stir until the beets are evenly coated. Refrigerate until ready to serve (will hold in the refrigerator for a few days). Enjoy! You can also substitute the roasted ground cumin seeds for regular ground cumin (the flavor will be different but just as good). Also, if using regular (table) salt you will need to reduce the amount of salt by 1/4 teaspoon. Beets are a nutrition powerhouse. Thanks for an easy summer recipe featuring these roots. I always thought that substituting regular salt for coarse meant using less. No? This salad is a must try, it looks fantastic. Pinning. Saw your recipe on Wonderful Wednesday. I love fresh beets and especially love the cumin seeds. Sounds delicious. 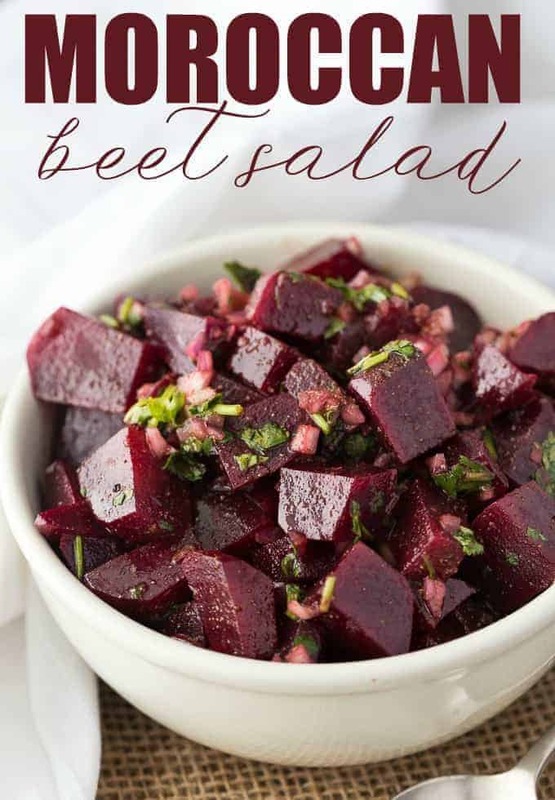 I love beets and make a similar beet salad. 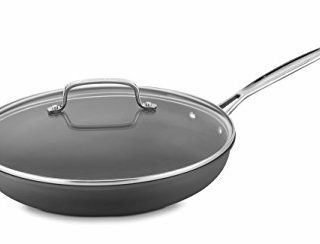 Goes great with many meals and is a good way to use up extra beets. When Beets are in season we devour them in my house. And our “Greek” recipe is very similar to yours. Beets are so good for you – pinned and shared. I’ve been looking for more ways to use our garden beets. This looks delicious. Thanks for sharing! I love beets so much!! This salad looks amazing . You should like this up at #bloggerspotlight too! 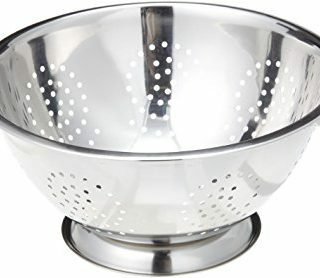 I just tried this simple salad. So delicious!! 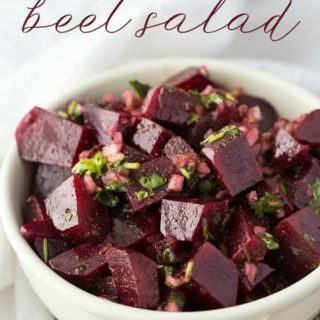 This salad was great and a perfect way to use beets from my garden. Pairing beets with cilantro, cumin, and lemon was so different than my normal combinations and was a delight to the taste buds!